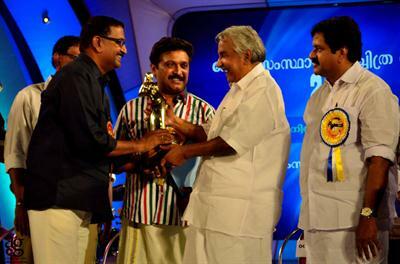 Kerala State Film Awards 2013: Who are the winners? Kerala State Film Award 2013 is expected to get announced during the last week of February. The prestigious award includes Kerala State Film Award for Best Film 2013, Best Director, Best Actor, Best Actress and many others. This award is initiated by the Kerala State Chalachitra Academy on behalf of the Department of Cultural Affairs, Government of Kerala. The Kerala State Film Awards are considered to be much prestigious being the awards given for a motion picture made in Kerala. Initiated from 1969 onwards, till 1997 the awards were directly managed by Department of Cultural Affairs under the, Government of Kerala. Later from 1998 Kerala State Chalachitra Academy were handling the procedure on behalf of the Department of Cultural Affairs, Government of Kerala. The awardees of the previous year will be decided by an independent jury consisting of eminent personalities appointed by the academy and the Department of Cultural Affairs, Govt. of Kerala. Every year films are invited and the jury will go through each movie before finally declaring the winners. The awards are a token of appreciation to promote films with creative ideals and also to encourage the artists, technicians and producers who had spend their time behind and in front of the screen. The official declaration of the awards will be made by the Minister for Cultural Affairs and presented by the Chief Minister of Kerala. With around 130 malayalam movies released in 2012, the jury will have to go through eighty four films which had been submitted to be a part of the competition for the Kerala State Film awards 2013. It is known that the jury has watched more than 45 films which are screened at Dhrishya Theatre in Thiruvallam Chithranjali studio. The rest 40 films would be seen in the coming days. With more talented personalities performing on the screen, the jury has been hooked by finding difficult to choose the the best actor, actress and film. In 2012 the awards for the previous year was given in the way with Ranjith bagging the Best Film Award for Indian Rupee while Dileep was declared the Best Actor for his performance in "Vellaripravinte Changathy' and Swetha Menon the Best Actress for 'Salt N Pepper'. Blessy was choosen as the Best Director for the film "Pranayam". It is much interesting to know about the TTK Prestige- Vanitha film awards 2013 which has been declared recently. Young chap Fahad Fazil bagged the Best Male Actor award for his mejestic performance in Diamond Necklace and 22 Female Kottayam while Rima Kallingal was awarded the Best Female Actor for her stupendous performance in 22 Female Kottayam. The Best Film award for the previous year went to Ustad Hotel. But as the Kerala State Film awards 2013 announcement nearing, are there any predictions? Wait for a week more for the official announcement.